In Super Smash Bros for Wii U, there is a stage based in Miiverse. Users can post drawings for the winner character. For example, if you win a match using Kirby, you can post a drawing related with Kirby. Depending which characters you are using in the stage, will appear drawings that users have drawn for the character. 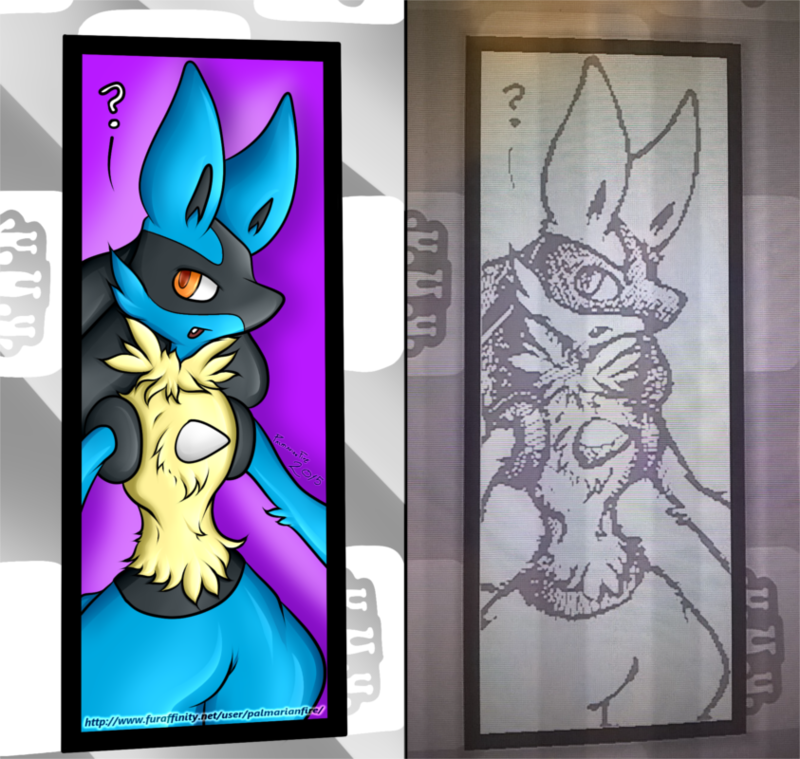 In this case, I was using a Lucario battling with me, and this cool drawing appeared, so I decided make a color version. It took me an hour. I tend to avoid the Miiverse stage because... well. It's Miiverse. Nice picture! I tend to avoid the Miiverse stage because... well. It's Miiverse.